In what most people would see as just an empty wall, two guys saw opportunity. Two students decided to become poster stars at their local McDonald’s. 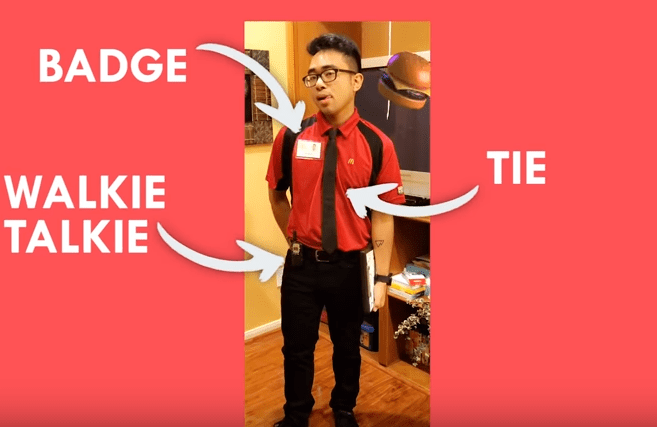 21 year-old, Jevh Maravilla and his friend, Christian Toledo, (from Houston U.S) noticed that there were no Asians featured on the official McDonald’s posters around the restaurant. So they staged a photo shoot (using a timer) to take a picture of themselves enjoying a McDonald’s, ordered a supersize print and then hung it. 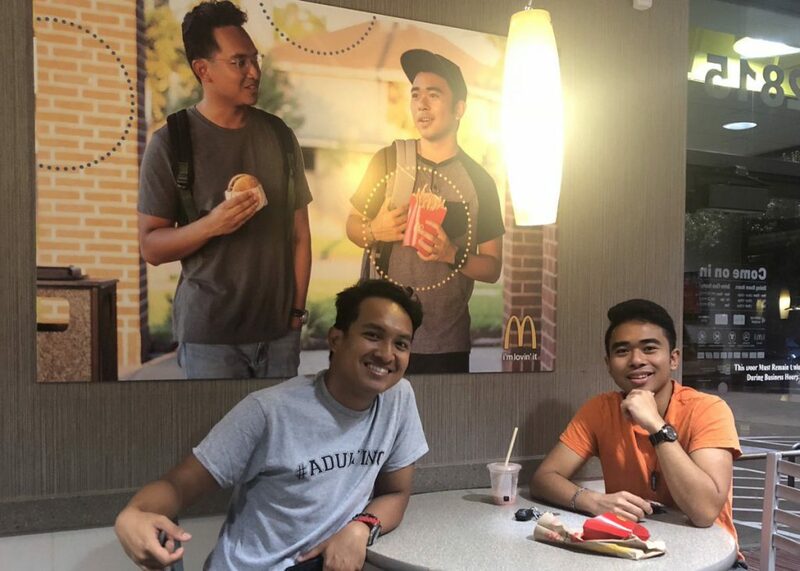 “We looked around and we saw there were no Asians in the posters around McDonald’s, so we decided to do it ourselves, and I guess the rest is history,” said Jehv Maravilla, a 21-year-old University of Houston student. Once the print had arrived Jevh bought a McDonald’s shirt from a charity shop. To complete the look, he added a fake badge, walkie talkie and tie and then they just strolled in and hung it. 51 days later it’s still on the wall. They documented the entire process on YouTube. Creative activism at its best.